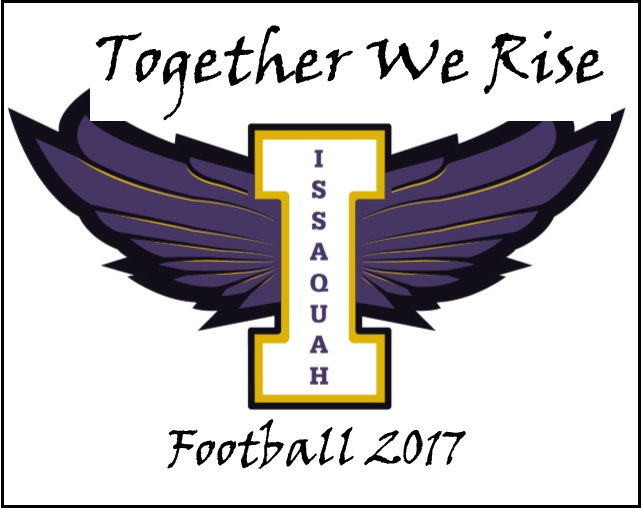 Working together, we can provide the financial support that is critical for the success of the Issaquah High School Football team. It will take a maximum effort from all involved. The results will benefit the entire program. Building Champions takes the commitment of players, coaches, families, and the community. This amount will maintain the status quo, covering 1 year of operating expenses and team support. This breaks down to approximately $600 per player which is our fundraising goal. Ask Friends and Family Donate. A donation request, whether face to face, or over the phone, or by email, will be most effective if you share a few personal remarks about how much football means to you. Consider sending at least 10 emails and include a link to your player profile from IssaquahFootball.com in your email. Remember to thank everyone! Use Social Media- Post the donation website link and let people know that you are raising funds for your football team. Like and share the information posted on Issaquah Football Boosters Facebook page. Just Try! You’ll be surprised at what can happen if you just ask! People you know who are fans of FOOTBALL, ISSAQUAH, or YOU! If you don’t have ten prospective donors or don’t remember who donated on your behalf last year, Football Boosters can help! Come see a booster volunteer before practice on Wednesday, August 30.